“I finally got fed up with the baloney I saw on the Internet,” said Carolyn Stanko, associate professor of horticulture and biology at Niagara County Community College and a senior CNLP. She’d see posts of bogus gardening information, but other readers would think it was true and share it. “I finally had to stand up and preach the truth!” she said. 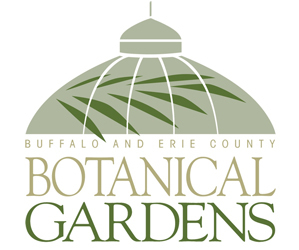 She will help you separate gardening fact from fiction when she presents “Garden Myth Busting – How to Weed through the Internet” at 3 p.m. Sunday, March 25 at Plantasia, the garden and landscape show for Western New York. In her talk, she will help you save money, save time and save your back by using proper practices that help the environment, too. She shares some tips below. 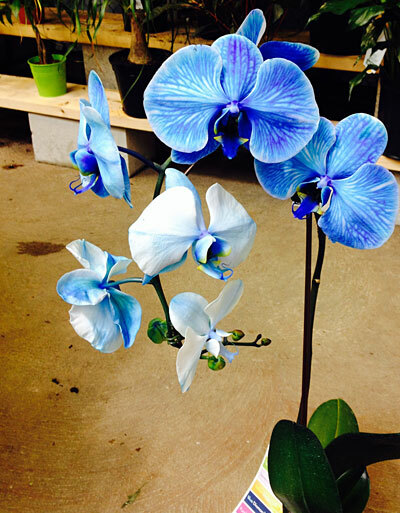 Plantasia will be held at the Fairgrounds Event Center & Artisan Hall, 5820 South Park, Hamburg. It will kick off with a Preview Night from 5:30 to 8 p.m. Wednesday, March 21. Plantasia continues from 10 a.m. to 9 p.m. Thursday through Saturday, March 22 through 24, and 10 a.m. to 5 p.m. Sunday, March 25. There is a full schedule of talks and presentations Thursday through Sunday. See the entire list at the end of this article. The theme this year will be “Cityscapes into the Night.” The Event Center will be dimmed so that you can look at the creative lighting in the full-size gardens. The aisles lined by vendors will be made to look like city streets with traffic signals and street lights. See the list of vendors and garden exhibitors. Street performers will entertain and the Children’s Discovery Garden will offer activities for kids. You can’t just Google a term and expect to get reliable information. You can’t believe everything you see on Facebook or Pinterest. Be wary if you can’t find research to back up the claims of a product, or if the research was paid for by the company making the product. If a gardening solution is one size fits all, that’s another red flag. For example, what works in warmer gardening zones may not work in colder zones. A soil additive may be helpful in one garden but not needed in another. If you want to get good, sound information on gardening practices, you’ll find it in peer-reviewed science journals, but those articles are difficult for many of us to understand. 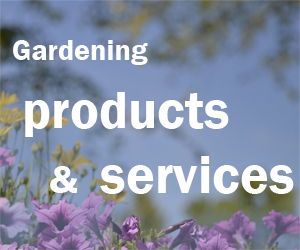 To help us out, Stanko has created a website with good resources for gardeners. You can find websites, apps, Facebook pages and Facebook groups. This is a great resource. Make sure you check it out. Here are some of the claims that Stanko debunks. The first myth she brought up was the very one I was going to ask her about– Epsom salt. I keep seeing it promoted as a cure-all for everything in the garden. If you like, sprinkle some Epsom salt into your bath water, but it doesn’t do anything for your garden, she said. It doesn’t kill bugs, it’s not good for roses or tomatoes and it doesn’t stop plant diseases– which are just some of the things it’s touted for. Epsom salt is magnesium sulfate. It’s often suggested to help blossom end rot, which is caused by a calcium deficiency. Magnesium sulfate can’t help a calcium deficiency, she explained. But the thing is, even adding calcium to the soil won’t fix blossom end rot. In blossom end rot, the problem isn’t that there is too little calcium in the soil; the problem is that the calcium isn’t getting where it’s needed in the plant. It’s a calcium translocation problem. The good news is that you don’t have to treat the plant for blossom end rot; the plant will outgrow the condition. Just keep even moisture in the soil– not too wet and not too dry, she said. Oh, and while there are products that you can buy to spray on the fruit or the leaves to treat blossom end rot, they don’t work, either, she said. If the products seem to help, it’s only because the plant is outgrowing the condition anyway. The scent of lemon grass and citronella (Pelargonium ‘citrosum’) don’t keep mosquitoes away. “Mosquitos are attracted to carbon dioxide (which we breathe out), so unless you’re going to hold your breath, the plants won’t work,” Stanko said. Citronella candles can help, but it’s not the scent of the candle that keeps mosquitos away, it’s the smoke, she explained. If you use citronella candles, you have to sit in the smoke. Something else you can try is placing a carbon dioxide generator at the far end of your yard. Mosquitoes will be drawn there and not bother you. However, these machines are expensive. See more ways to deal with mosquitoes here. You can find a picture of black bleeding hearts on the Internet, but it’s Photoshopped. Rainbow roses? Pigments are injected into the stem to produce petals with different colors. Neon-colored flowers? Those flowers that look like daisies are actually mums and they were also dyed. You can often find them in grocery store bouquets. If you like those colored flowers, go ahead any buy them. But don’t buy the seeds! For exorbitant prices, you can buy seeds that people claim will result in these incredible colors. Don’t believe it. Some people have their lawns rolled every year. You don’t have to do this. In fact, you shouldn’t. People like smooth, flat lawns, Stanko said. During the winter, we have a freeze-thaw cycle that can create small bumps and lumps. Rolling the lawn will get rid of those bumps, but it has horrible side effects. “Lawn rolling compacts the soil and destroys the soil structure,” she said. That’s bad for the grass. 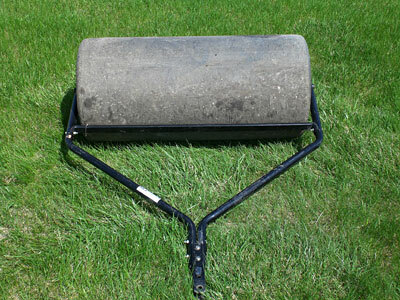 The only time you need to roll your lawn is when you are starting a new lawn, and then you give it only a very, very light rolling. You want to make sure there is good contact by the seed or sod to the soil. If you have a bumpy lawn, fill in the low spots with some top soil. Add seed if necessary. Get more tips in this Lawn Care guide from Cornell University. While some of you might not even know what compost tea is, others might have seen claims that make it sound almost magical. Compost tea is the liquid from compost. If you compost worms, you might have your worms in a bin with holes poked in the bottom. That bin is set inside another bin to catch the excess liquid, which is called compost tea. You can pour that liquid on your garden. You can also go out of your way to make compost tea by putting compost into a bucket, adding water and letting it steep like tea. You can even buy bottled compost tea. By why would you do that? Compost tea is supposed to make the benefits of your compost go farther. When sprayed on the leaves of a plant, compost tea supposedly suppresses leaf diseases, increases the amount of nutrients available to the plant and speeds the breakdown of toxins. Proponents say it increases the nutritional quality and improves the flavor of vegetables. But don’t get excited. Compost tea isn’t any better for your garden than compost is. It’s easier to just use compost. 2 p.m.: Encouraging the ‘Good Bugs’ to your Garden – Karen Hall, Technical Representative, IPM Laboratories, Inc.
We have so many people in Western New York who allow me to interview them. I am so grateful to them all! I am grateful to Carolyn for her info about compost tea. Thanks for that insight! Eileen, Carolyn had so many great tips! Thanks for your comment.